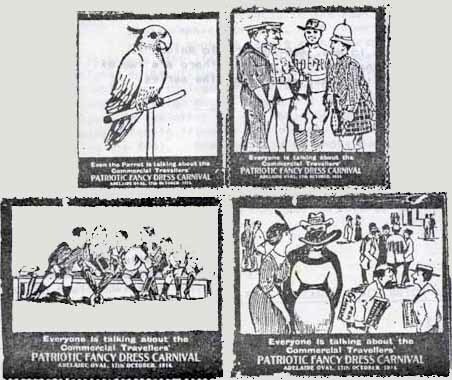 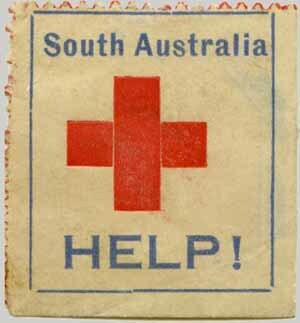 Scans needed to replace the B/W photocopies - Can you help? 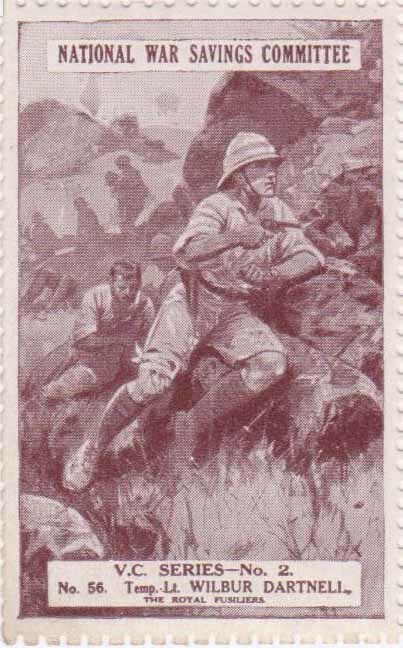 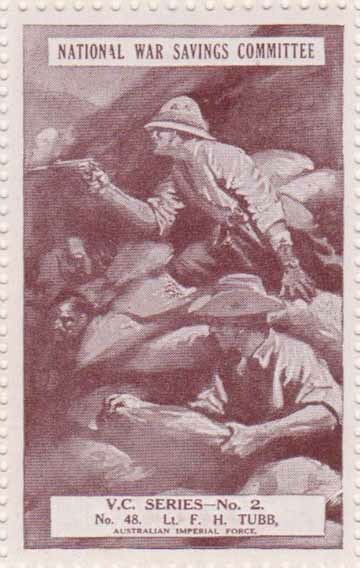 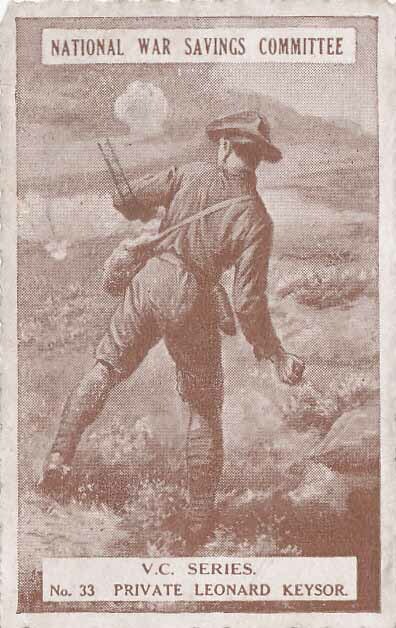 Two publicity labels have been identified, issued by a private company 'Citizens' Life Assurance Co. Ltd.
John Bisdee of the 1st Tasmanian Imperial Bushmen, was in an eight-man mounted patrol ambushed by the Boers near Warm Bad, Transvaal, on 1 September 1900. 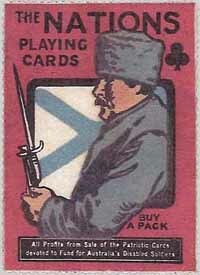 Almost all of the party were wounded, including an officer whose horse had bolted. 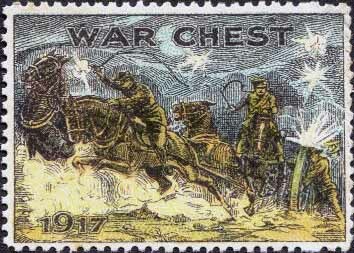 Bisdee put the officer on his own horse and, despite having been wounded himself, ran alongside under fire until he too could mount up and get away. 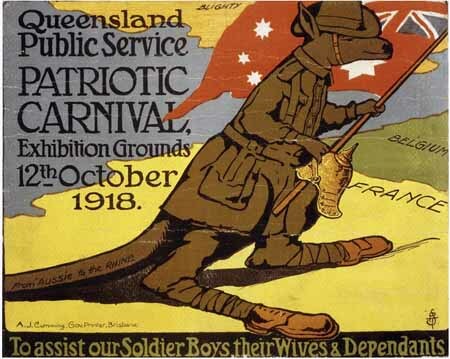 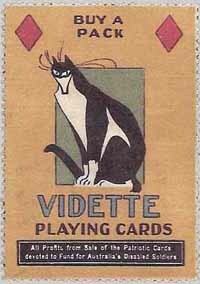 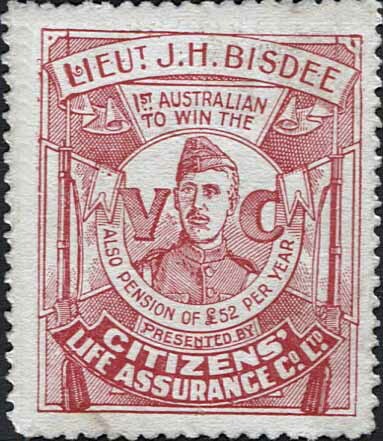 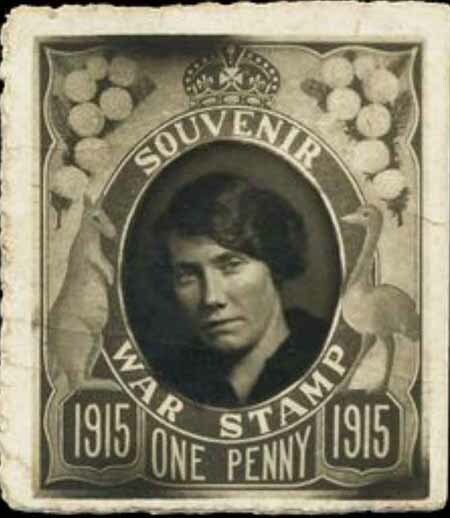 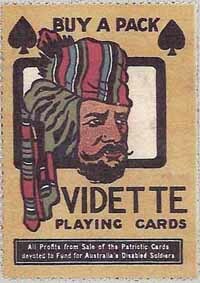 Bisdee served as a light horse officer in the First World War. 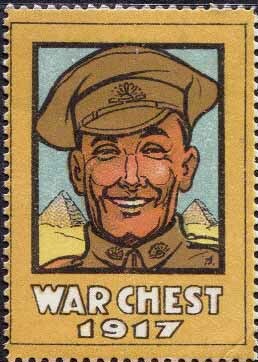 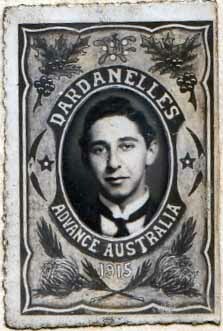 By 1918 he was a lieutenant colonel in the ANZAC Provost Corps. 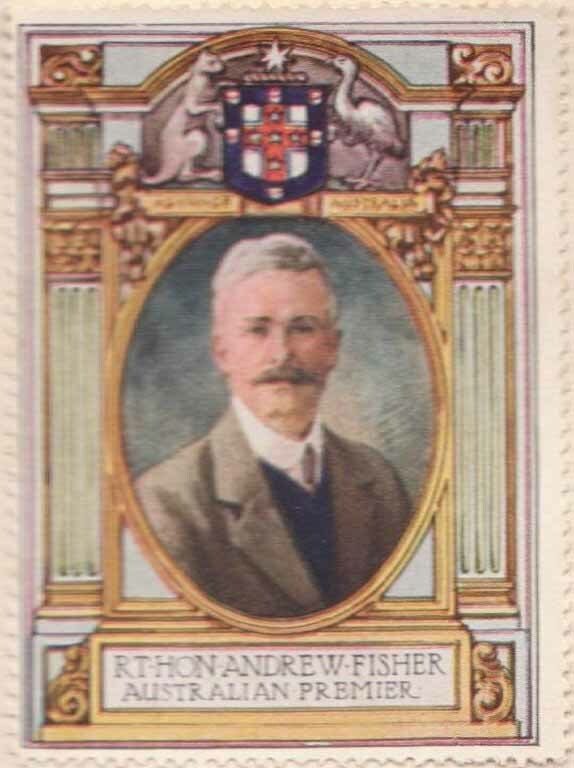 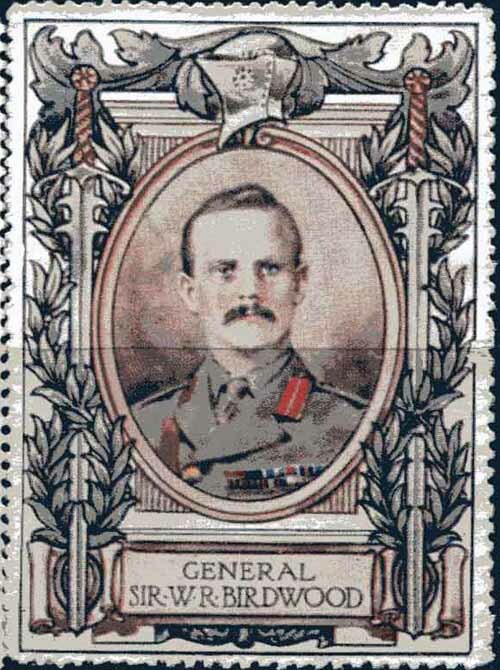 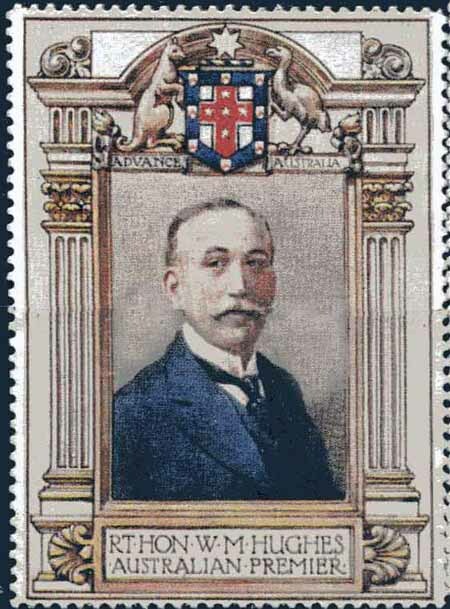 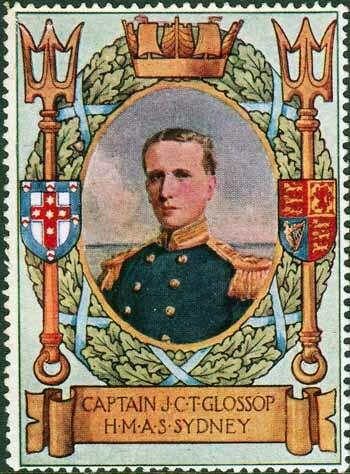 He was appointed an Officer of the Order of the British Empire in 1919. 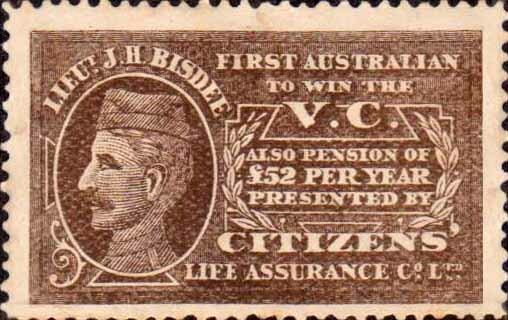 Bisdee eventually returned to farming in Tasmania, where he died. 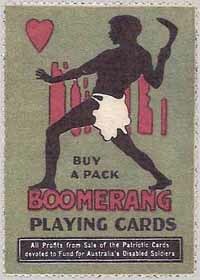 Roul 7. 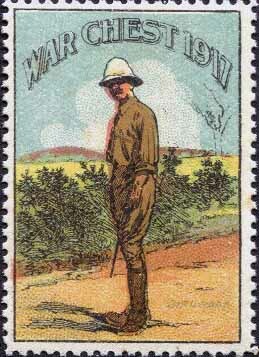 Issued in sheets 5x5. 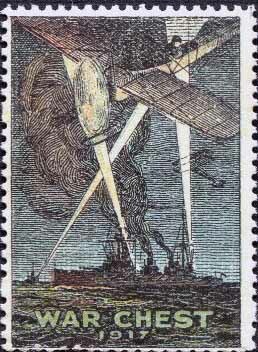 No.5 4x6. 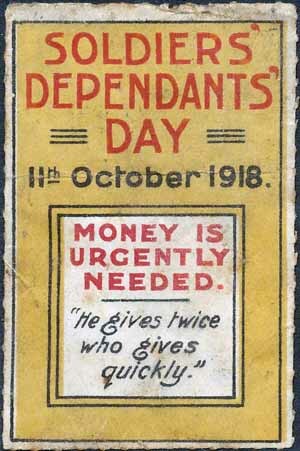 All have Govt. 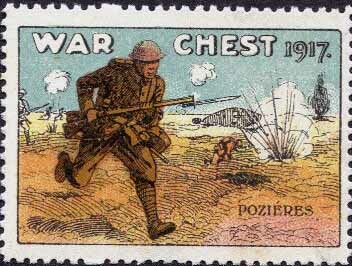 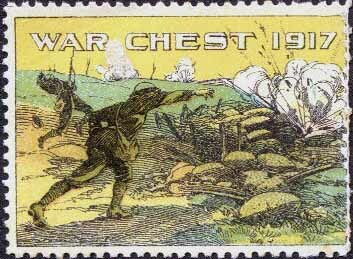 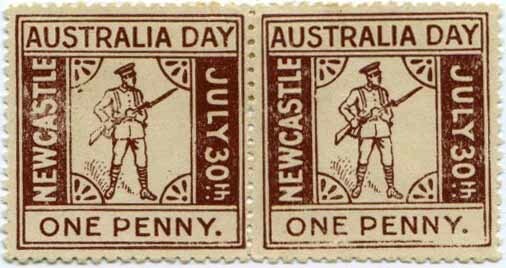 Printer imprint which varies in size on some of the same issue. 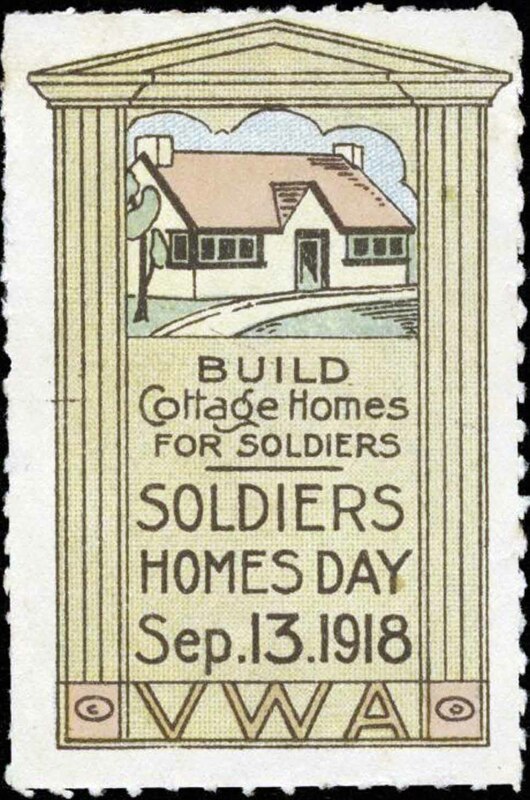 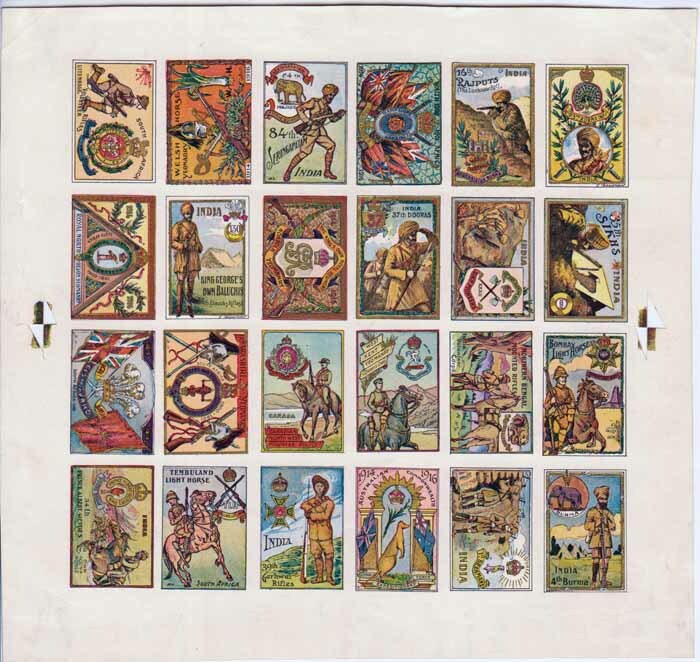 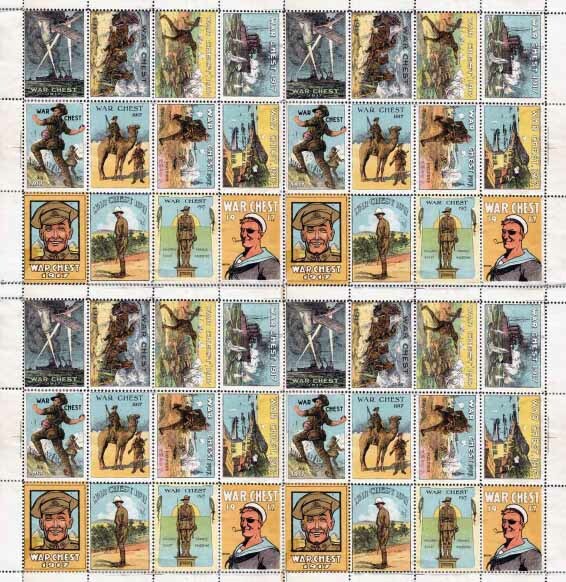 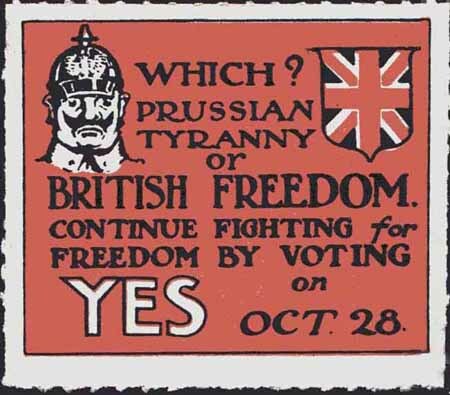 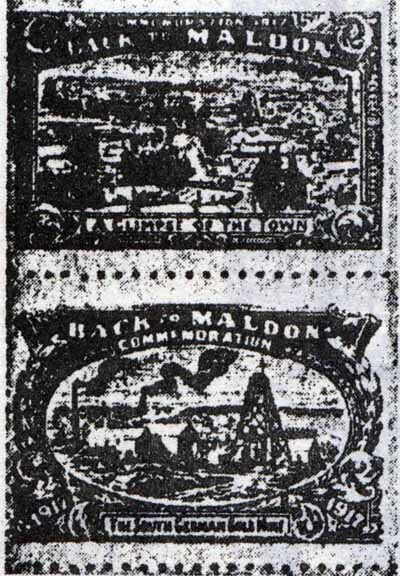 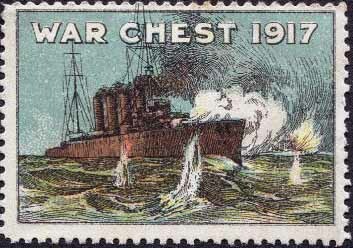 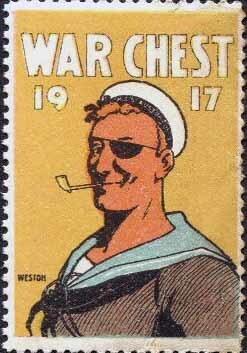 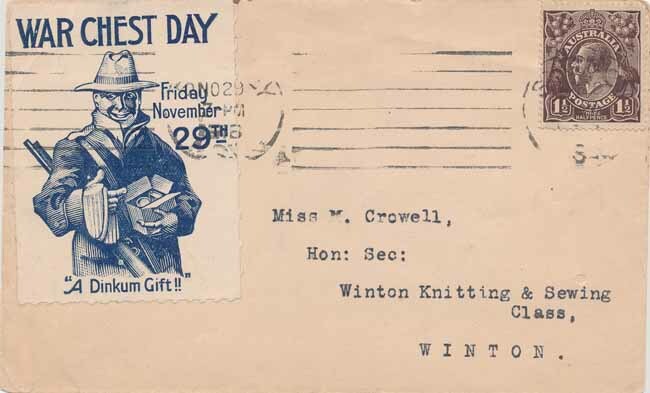 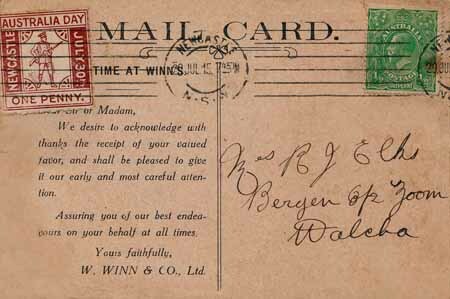 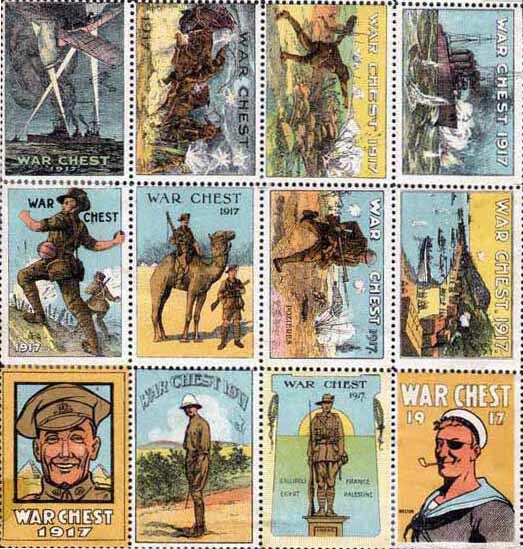 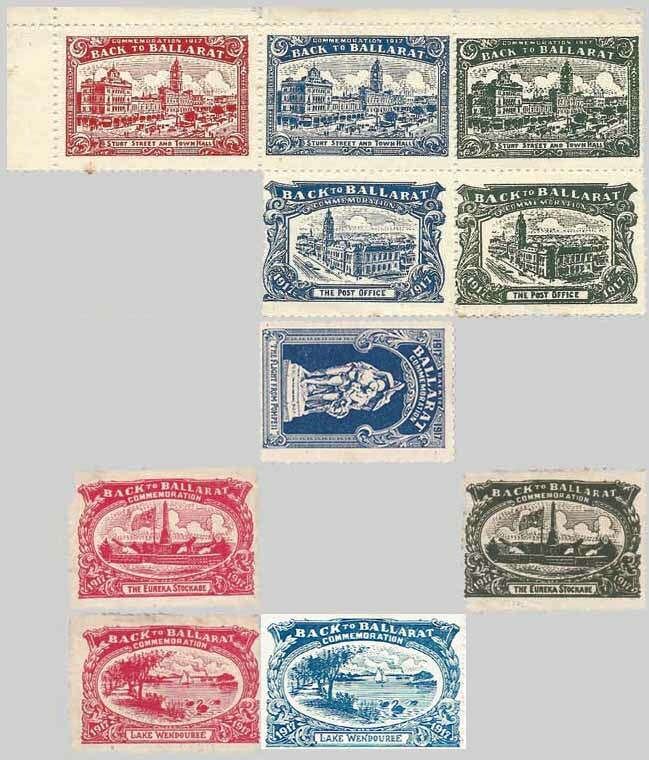 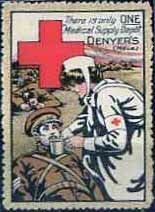 This is a series of 30 stamps in all and were sold for 2/6d which was quite a large donation at the time. 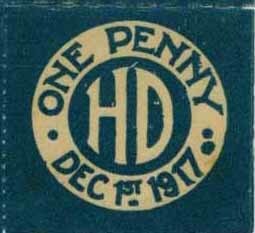 Perf 11. 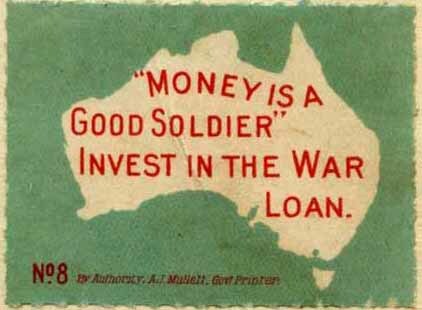 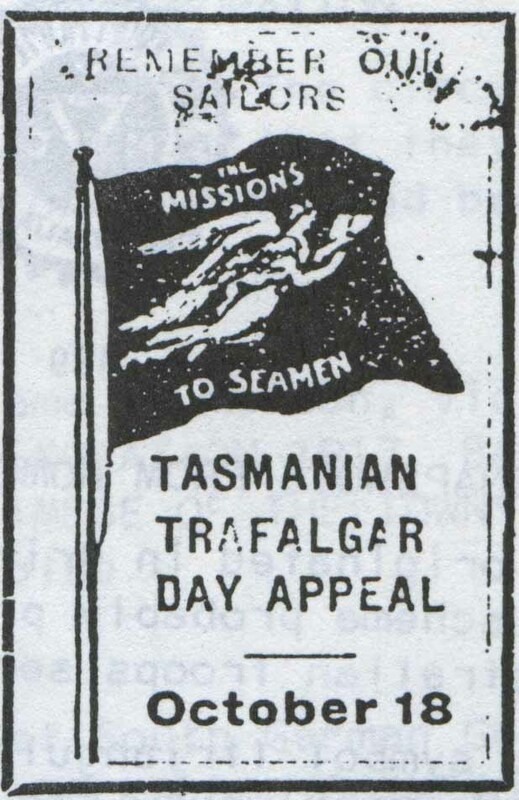 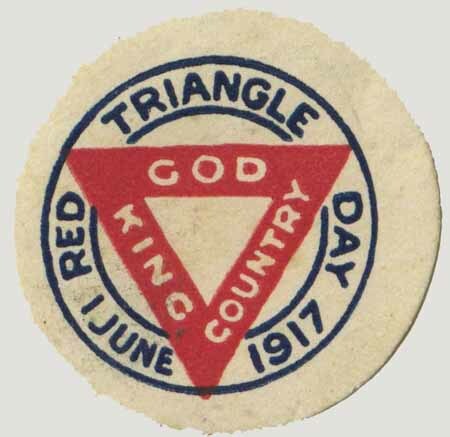 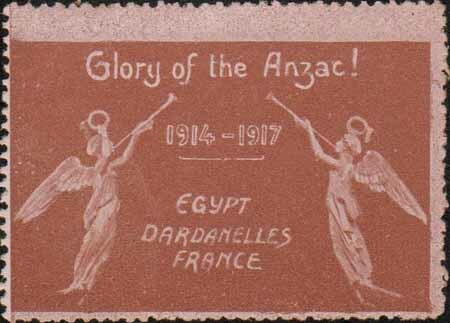 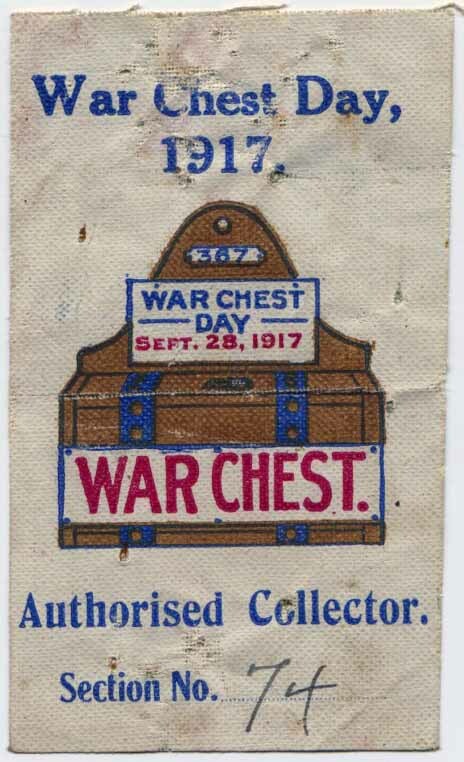 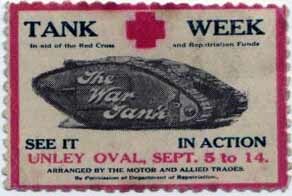 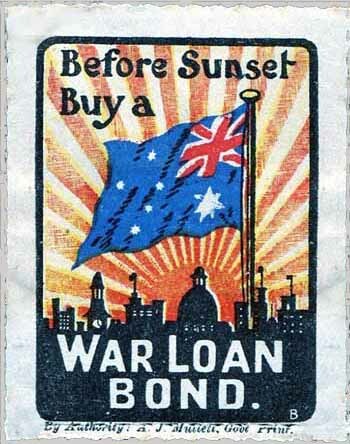 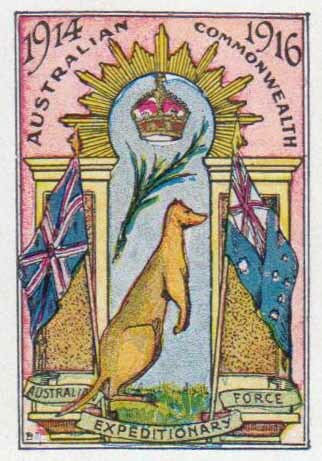 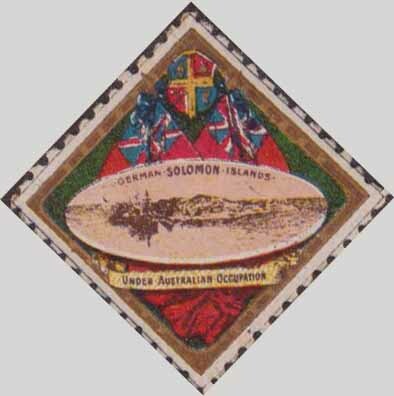 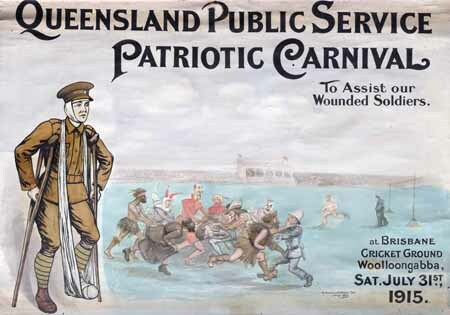 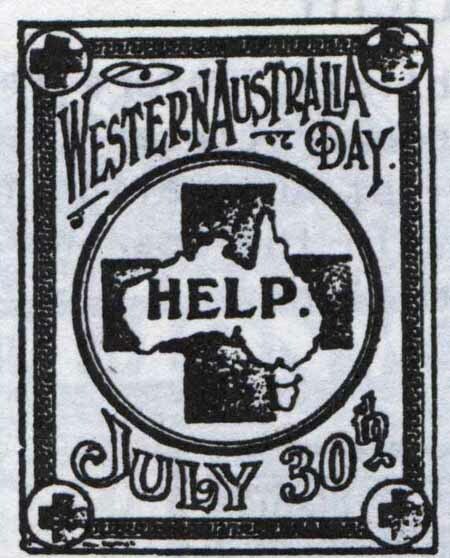 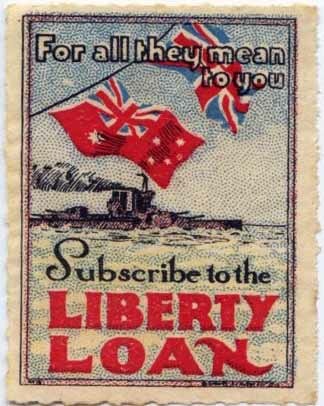 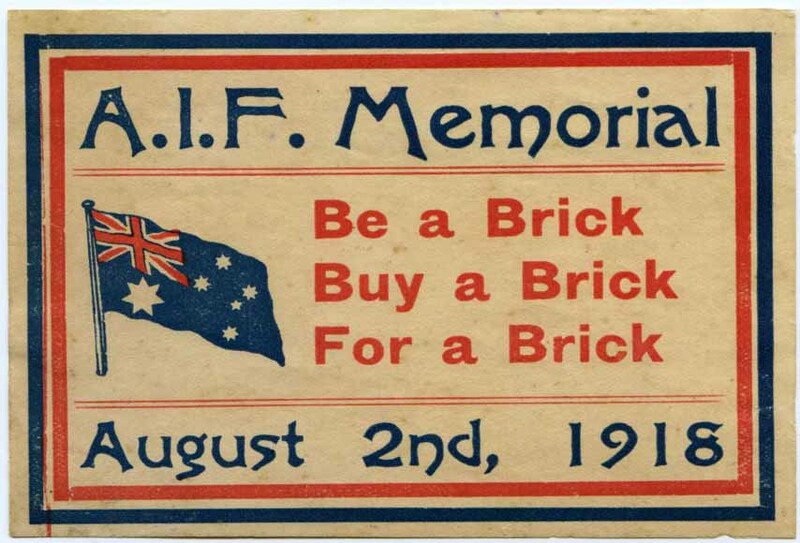 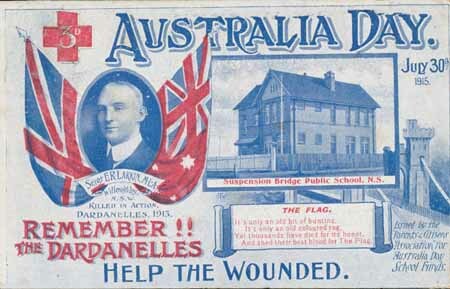 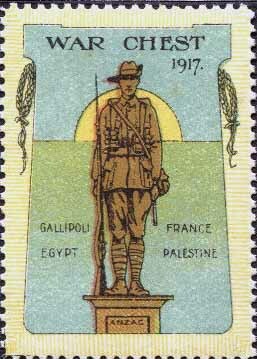 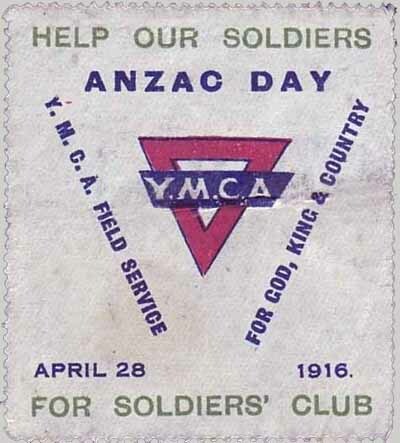 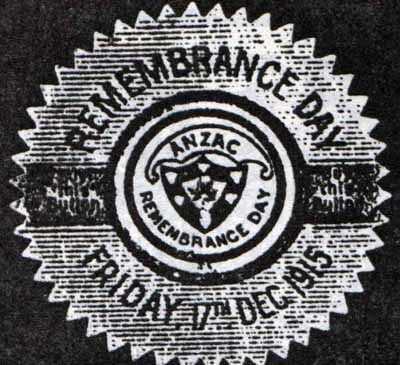 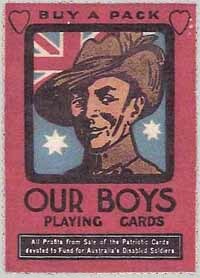 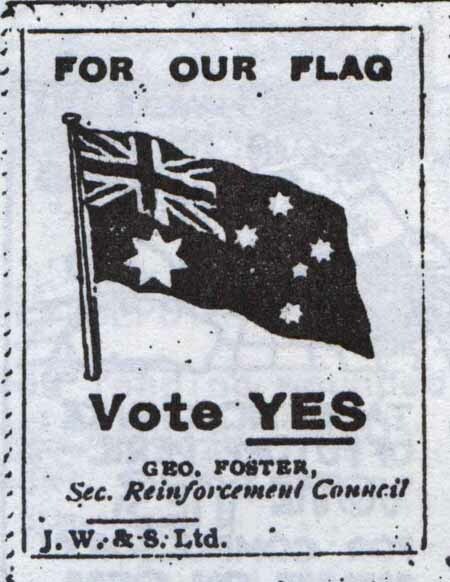 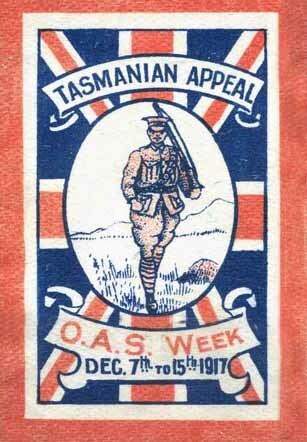 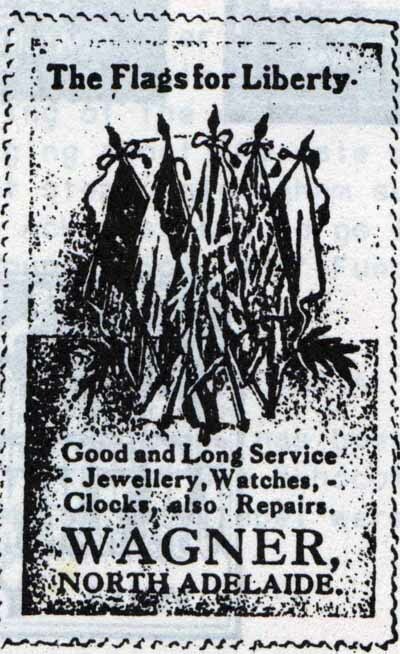 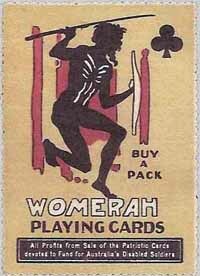 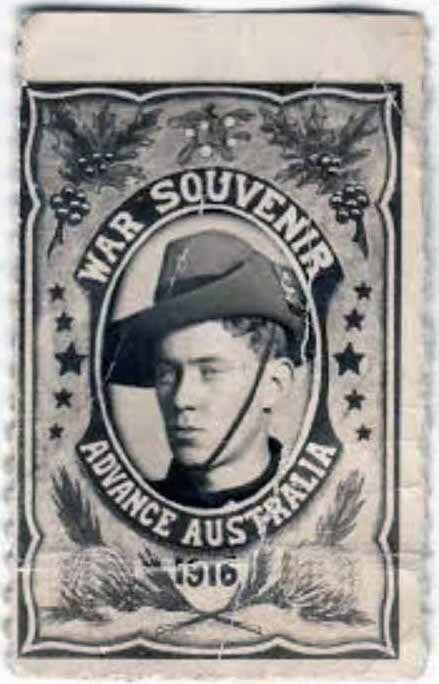 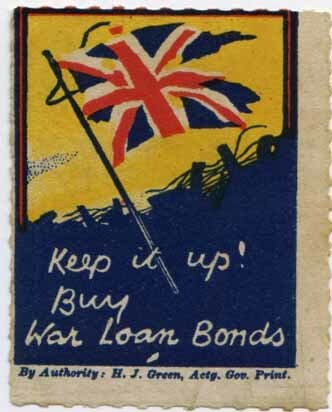 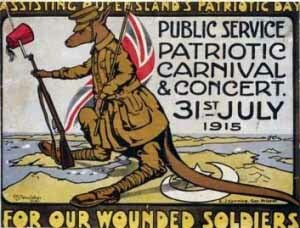 Supplied by White & Co 316 George St, Sydney N.S.W, to all Patriotic Funds for distribution @ 1d each. 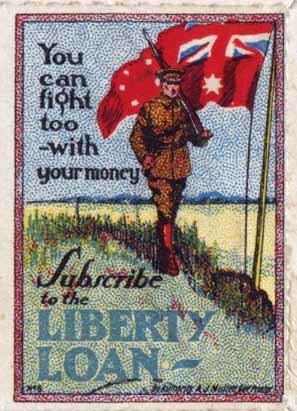 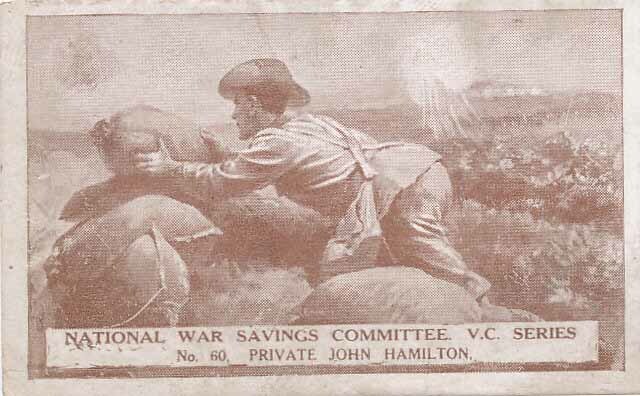 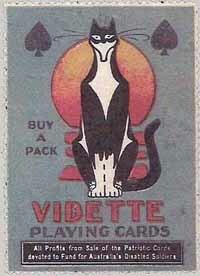 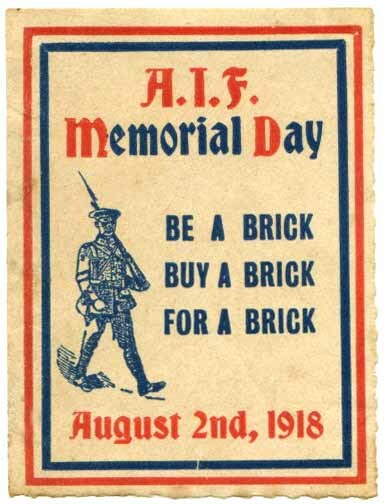 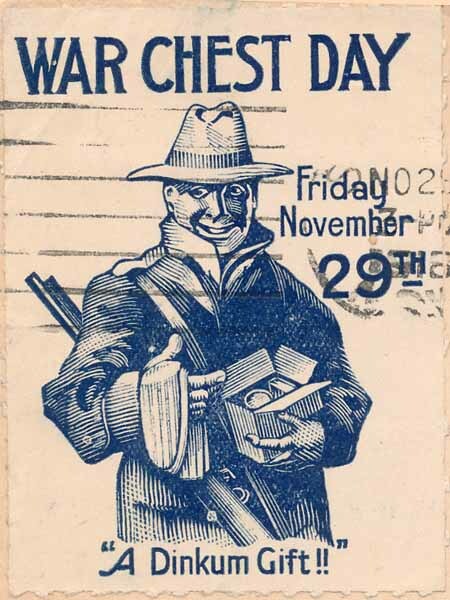 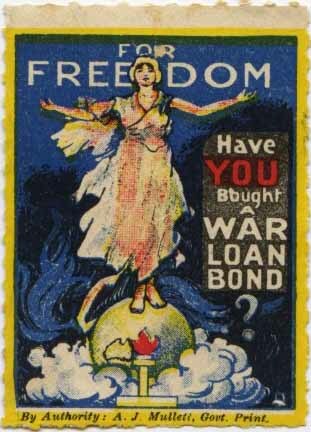 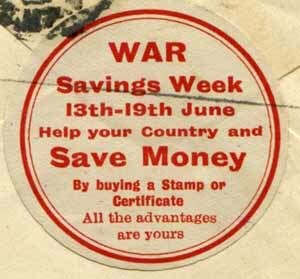 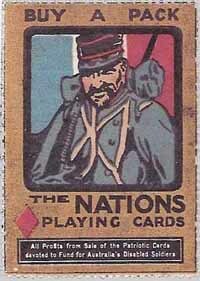 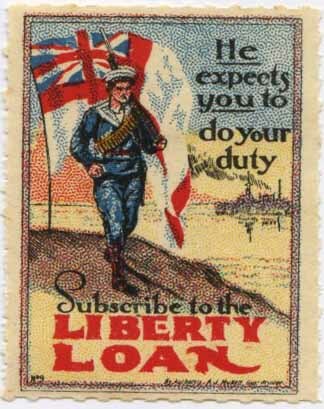 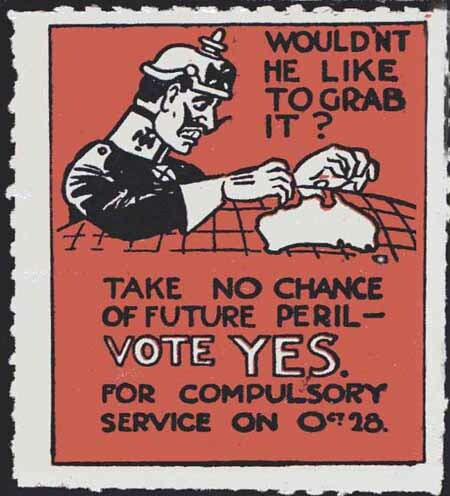 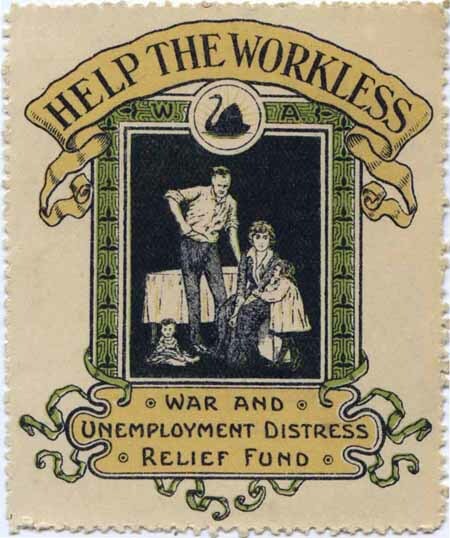 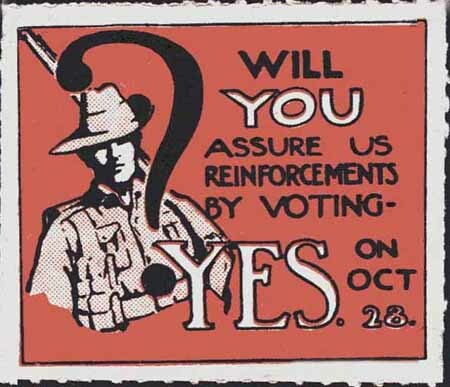 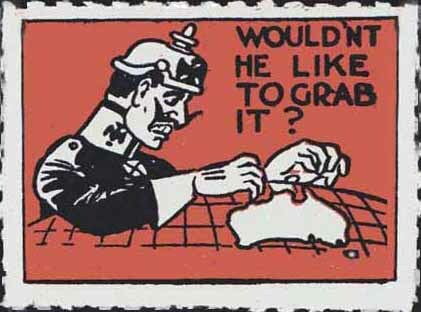 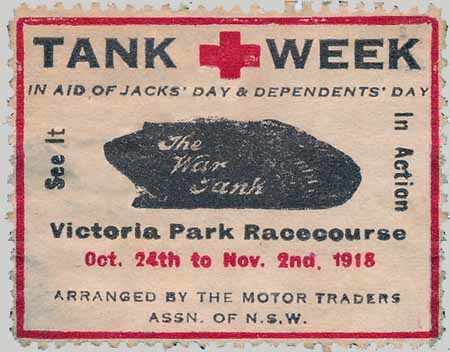 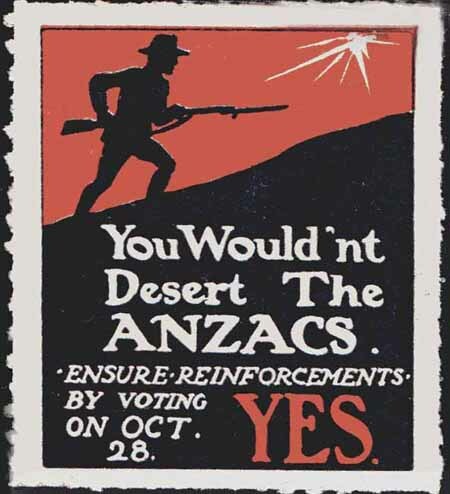 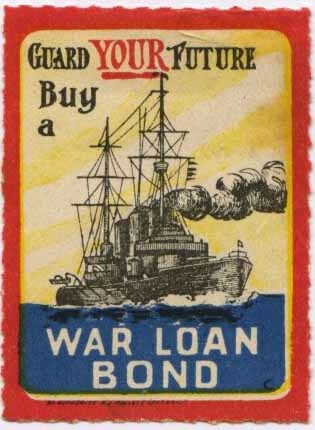 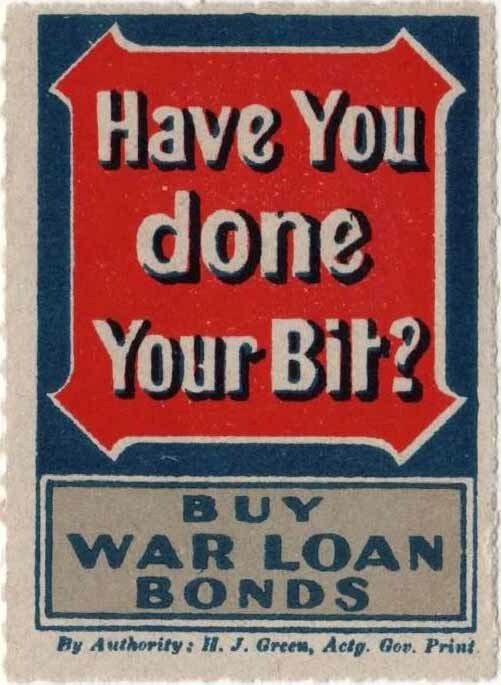 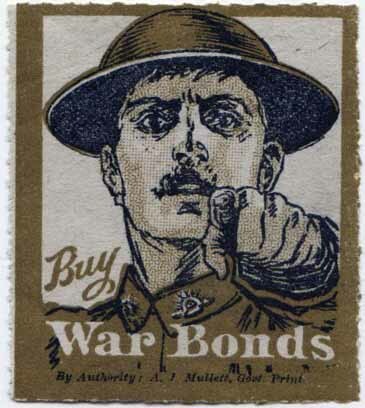 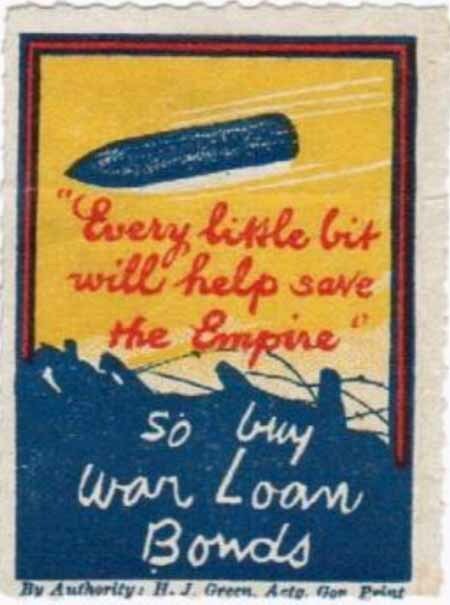 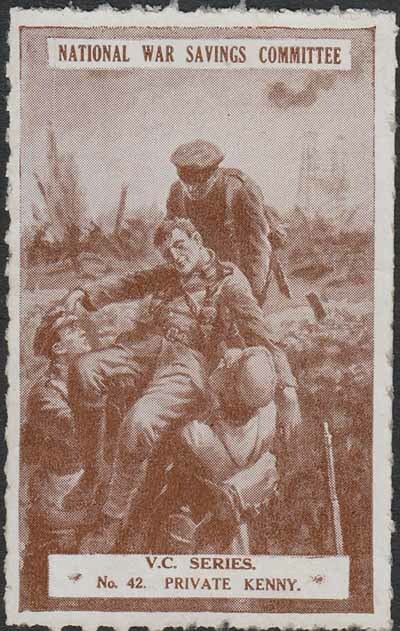 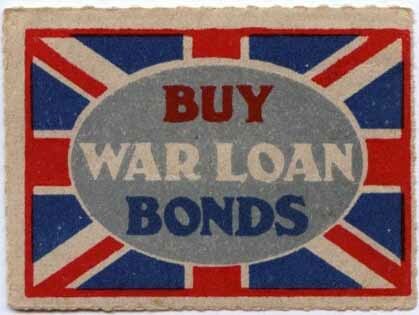 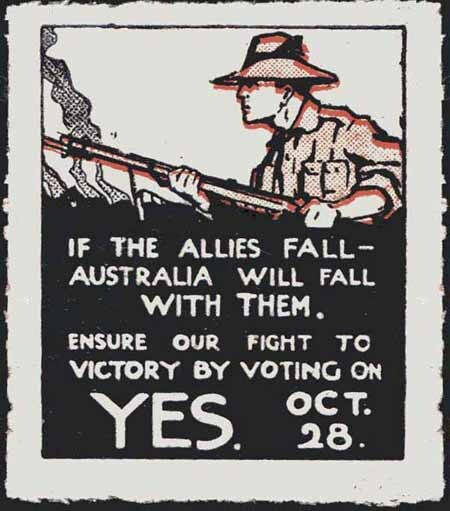 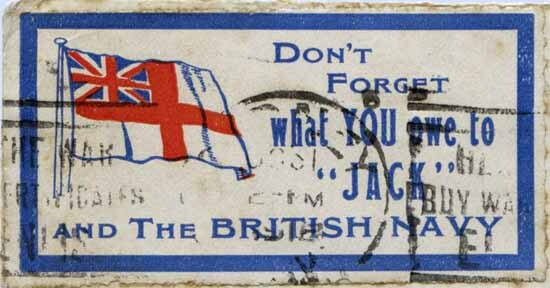 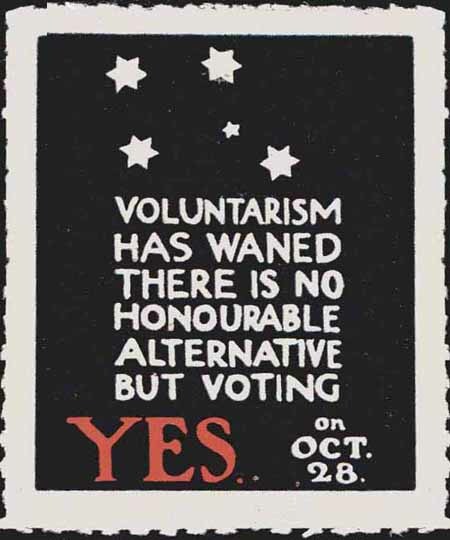 "Don't Forget what YOU owe to JACK"
28 September 1917. 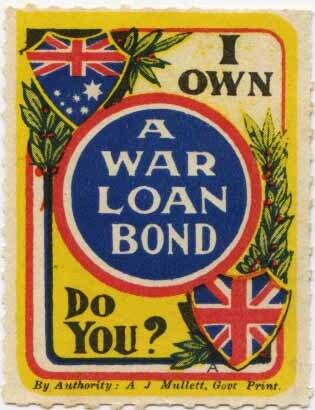 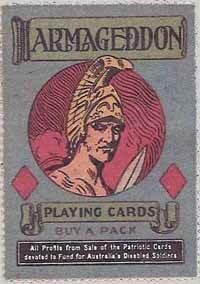 Authorised Collectors Lapel I.D. 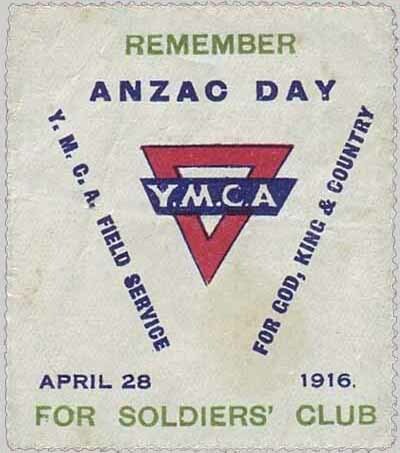 "Remember For Soldiers' Club" & " Help Our Soldiers For Soldiers' Club"
Perf 11. 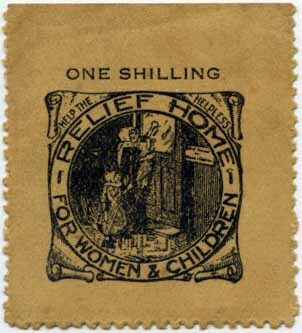 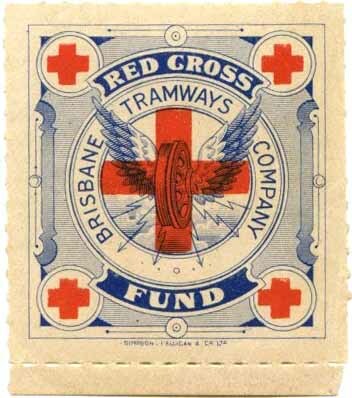 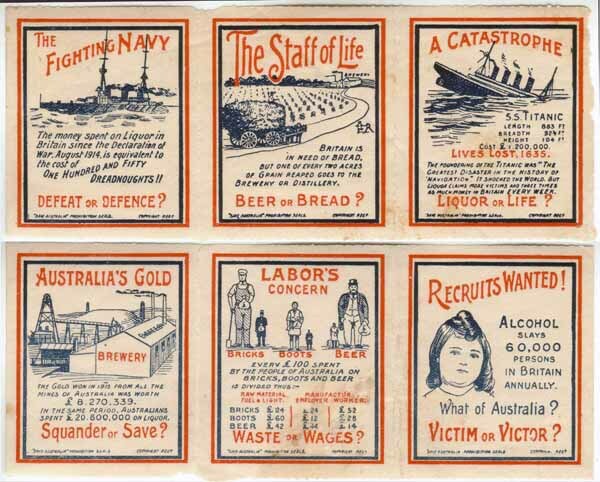 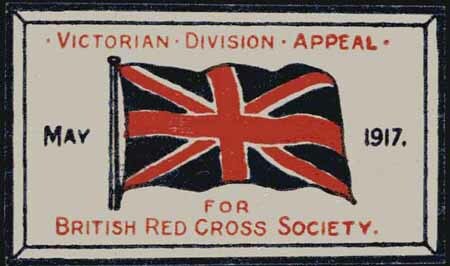 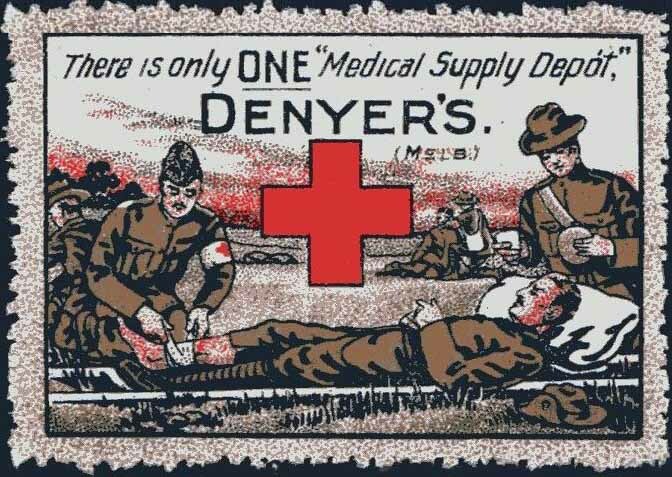 Labels 9, 10 & 11 were originally designed to raise funds for the Red Cross, but the profits went into Delandre's own pocket! 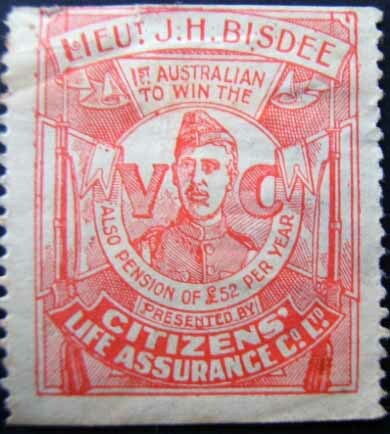 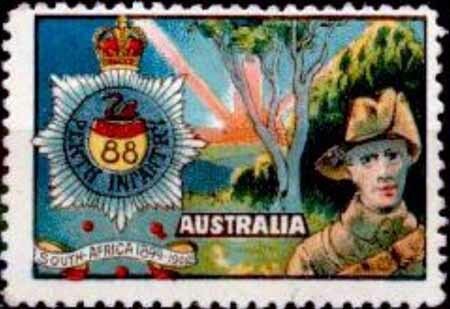 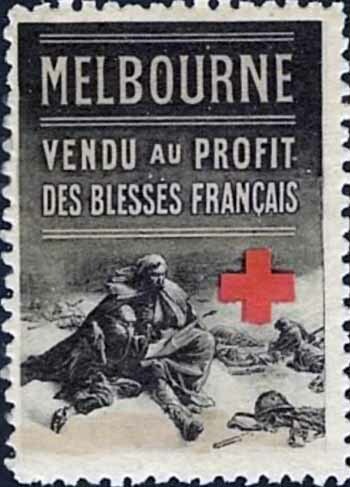 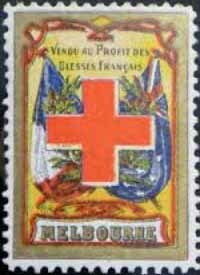 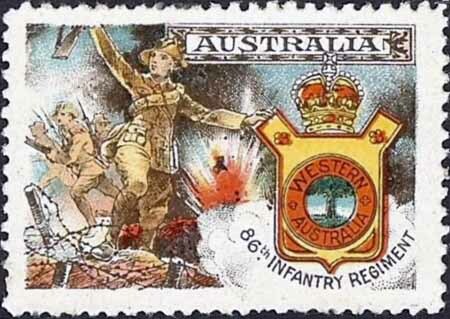 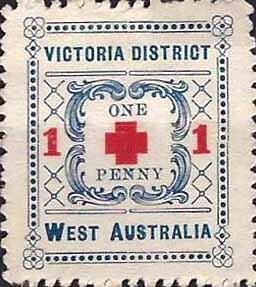 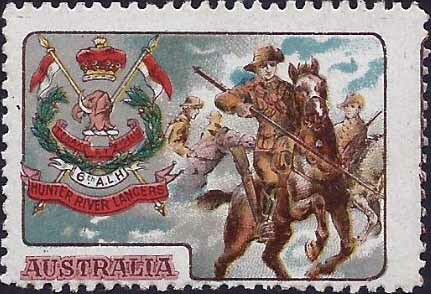 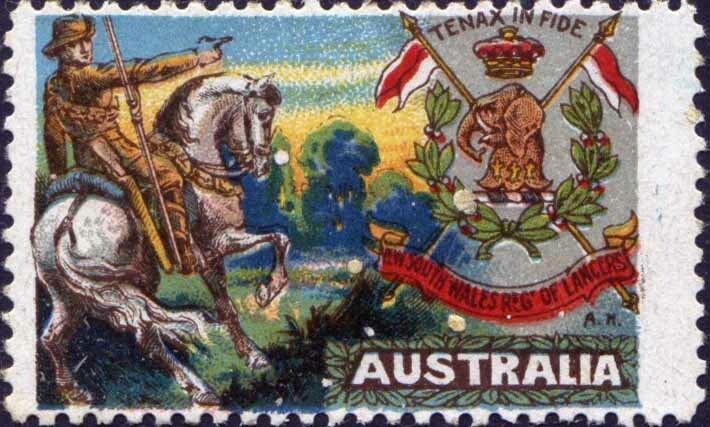 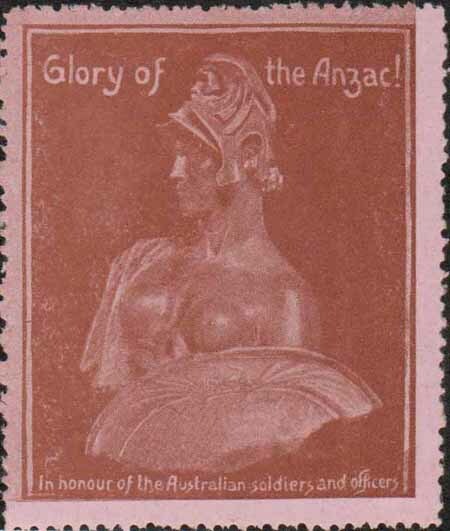 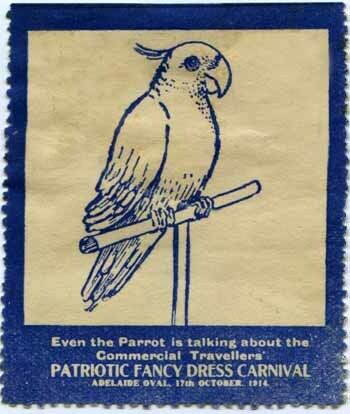 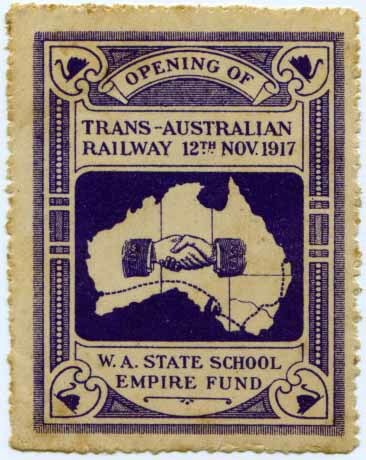 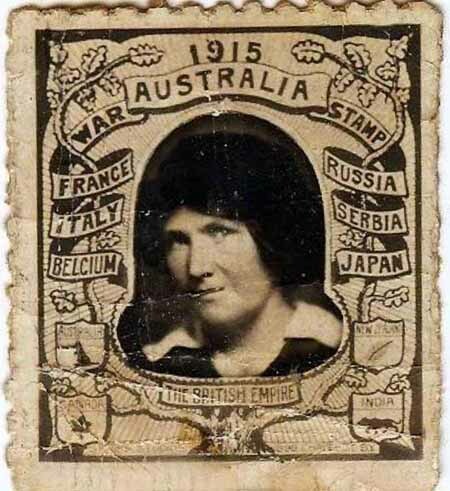 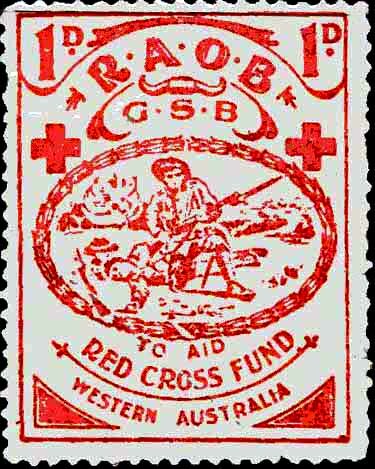 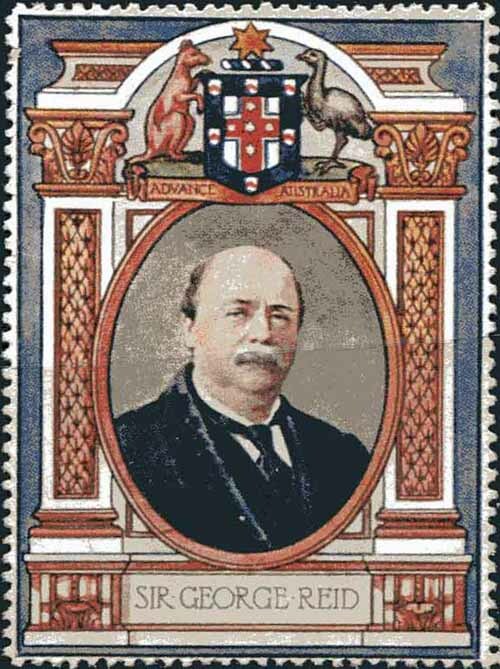 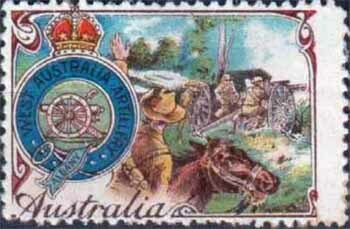 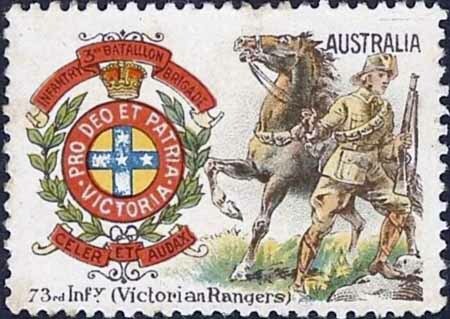 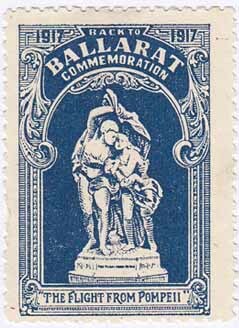 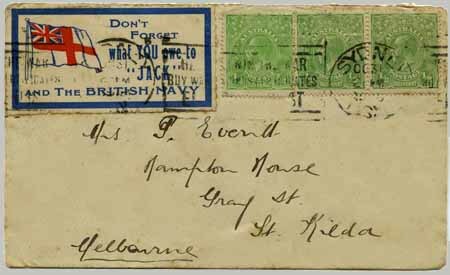 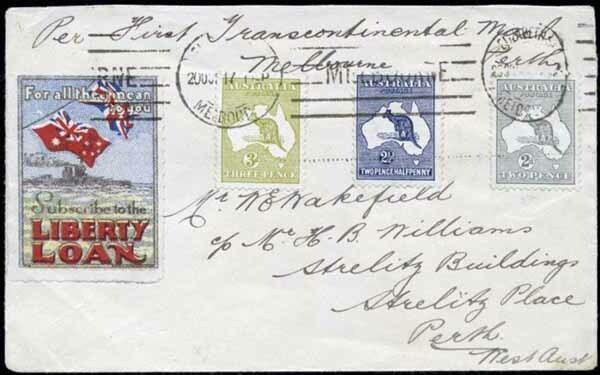 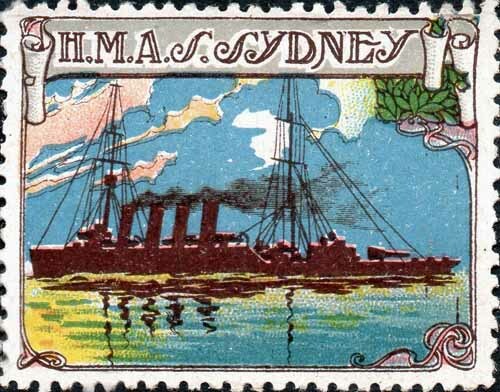 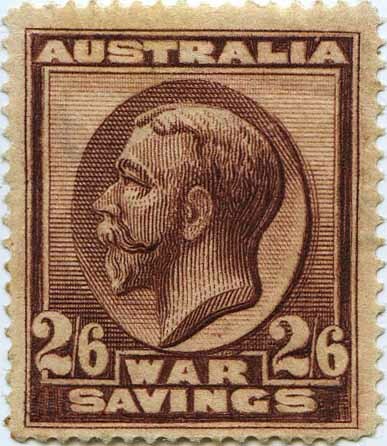 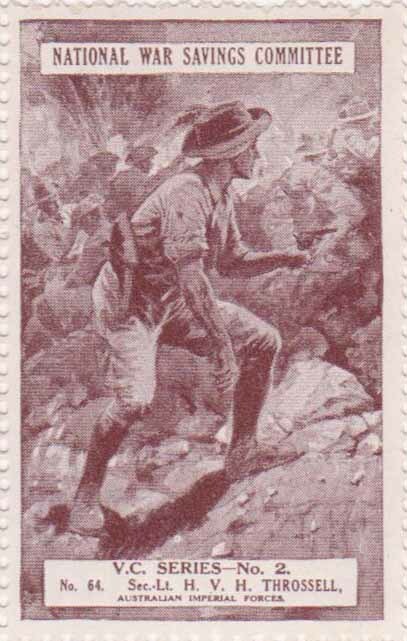 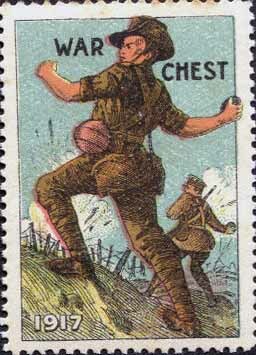 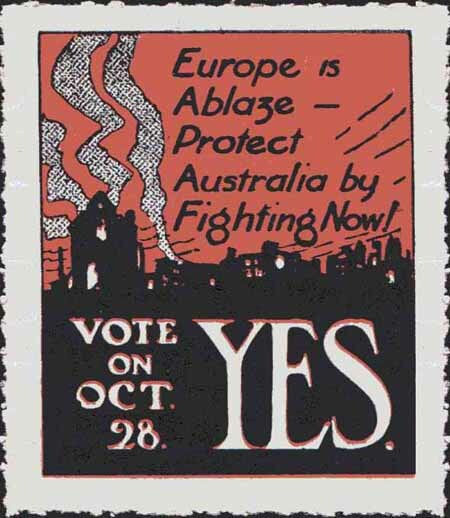 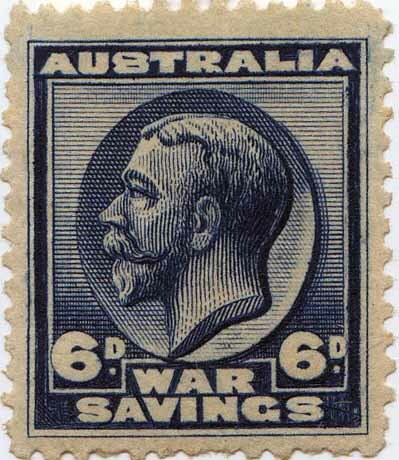 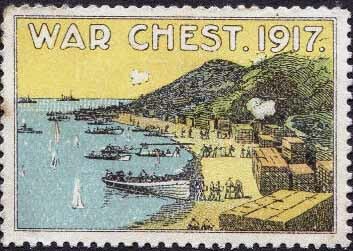 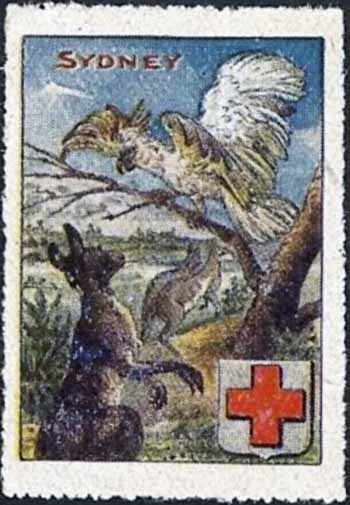 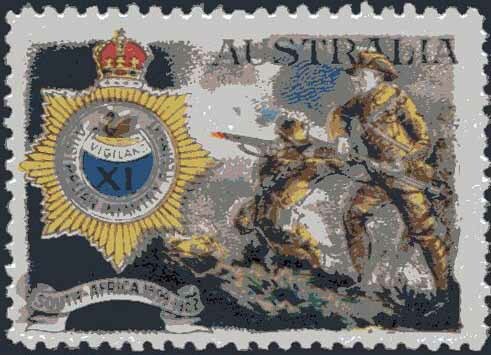 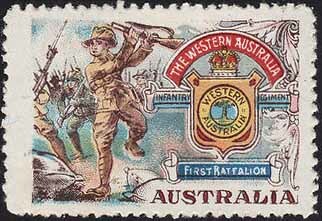 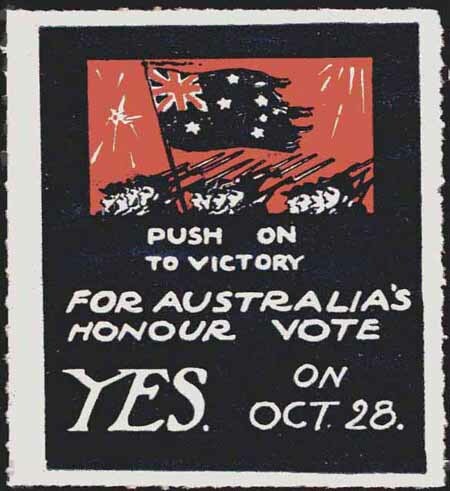 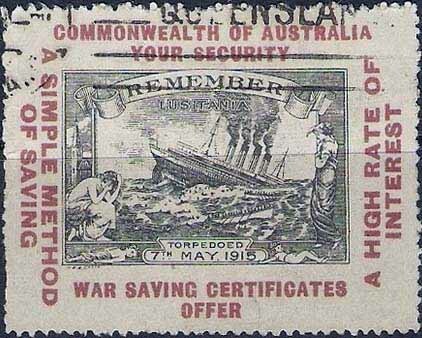 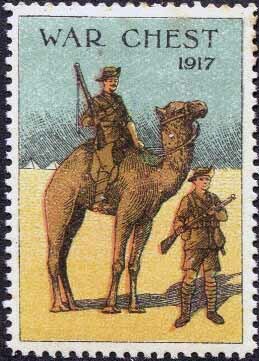 One stamp on an unissued proof sheet relates to Australia.